Disney World vs. Universal Studios Orlando: Which parks should you visit? This is not a sponsored post by any means, but I just got back from Disney World and Universal Studios + Islands of Adventure, and wanted to share my experiences. My parents and I used to visit both Universal and WDW a lot in the '90s. Since then, I took a proper (read: 4-5 day vacation) there in 2006, and also visited Magic Kingdom + Epcot for one day this past summer (you can read about that here). Disney World has changed a LOT in the past ten years. 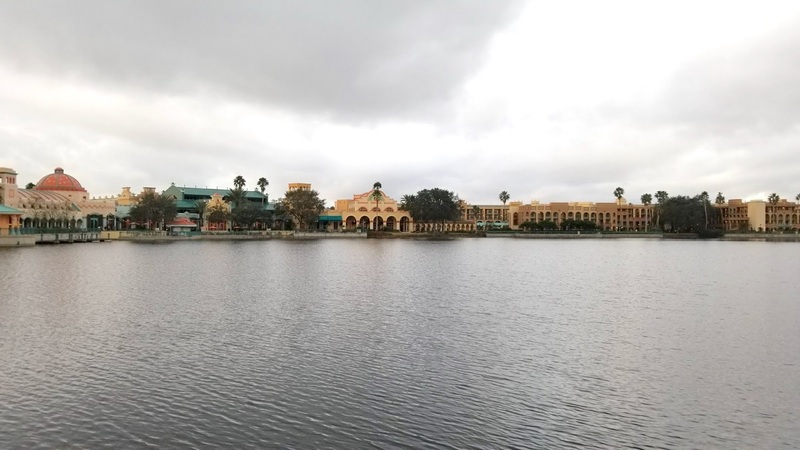 I went with a friend, and we booked two nights at Disney's Coronado Springs resort, a "moderate" resort—Disney has "value," "moderate," and "deluxe" resorts. I'd compare our hotel to a Hilton or another chain like that. We did a "Magic Your Way" package, which was a promotion they were running at the time, and that included 20% off. For a 3-day hopper pass for two people and two nights at the resort, the total was about $1150, or $575 each. I also looked at AAA, and overall I believe we saved a little bit of money by booking directly through Disney's site. I had two free nights at the lovely Hilton Bonnet Creek, where I had stayed for BlogHer this summer, so on Saturday, we switched to that hotel. 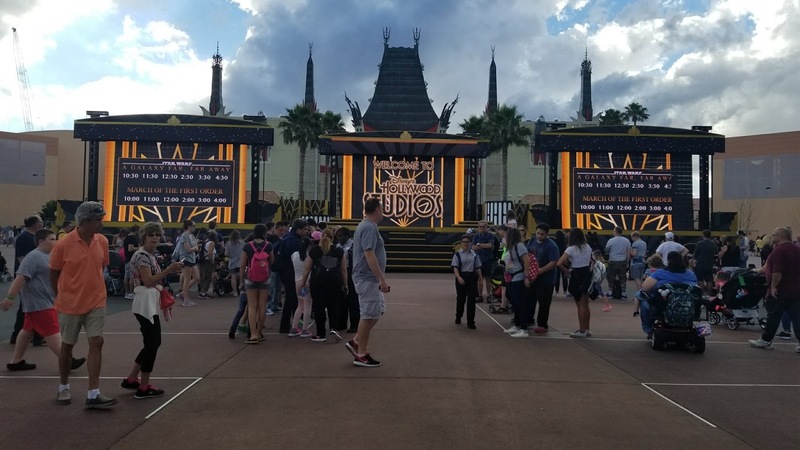 Having now stayed at a Disney hotel and also a non-Disney hotel and getting to the parks, I can say that it is definitely worth it to stay on-property. 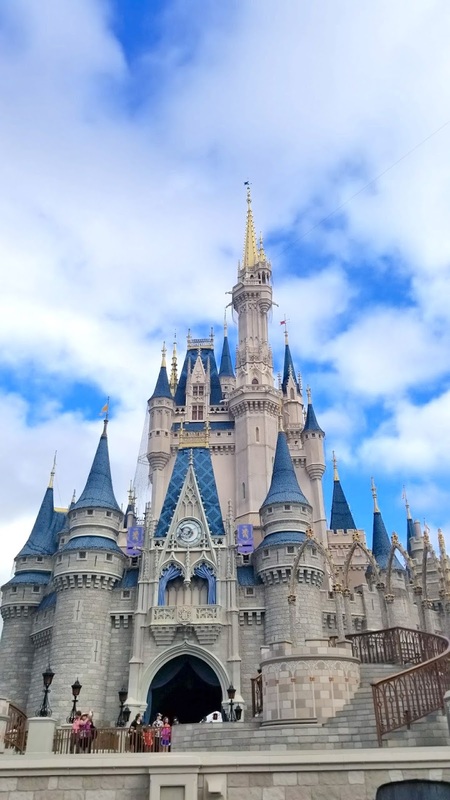 When we took the bus to the Magic Kingdom, we got dropped directly AT the Magic Kingdom—when I visited MK from the Hilton this summer, we got dropped at the Ticket & Transportation Center, and from there, we had to take either the boat or the monorail to MK. If you're staying at a Disney resort, you also get complimentary Magic Bands. We used our Magic Bands whenever we bought something at the hotel or in the parks (meals, souvenirs, etc.) and also to unlock our room. As a Disney resort guest, you also can take advantage of "Extra Magic Hours." The Magic Kingdom was open 8-9am one day for resort guests, but for everyone else, it opened at 9am. Animal Kingdom was open 7-8am one day for Extra Magic Hours, which we did not take advantage of (toooooo early in the morning). I can't say I recommend Coronado Springs—it's a huge resort and we had a few customer service problems—but the updated rooms are very nice, as are the toiletries (H20+ brand) that they had. If/when I go back again, I'll probably choose another moderate resort to try out. The friend I went with said she had stayed at one of the value resorts before and would not again, as the beds were hard and it's more motel-like than the moderate resorts. The question here is essentially: how much do you like Harry Potter? No, really—how much? I am a huge Harry Potter fan. We bought one day, park-to-park passes so that we could ride the Hogwarts Express between Universal Studios + Universal Islands of Adventure. If you do not buy a park-to-park pass, you cannot ride the Hogwarts Express. We paid about $175 for a one-day pass (ouch ...), though at the time, they were running deals like $200 for a 4-day, one park per day pass, which would have been a much better deal had we had four days to spend at Universal. We started off our day at the Universal Studios gates, and immediately speed-walked to the back, to get on the Gringotts ride, which (according to other blogs) usually had the longest line. You will need a locker to go on this ride if you have anything that doesn't fit into pockets. Lockers are free (nice!) for up to 3 hours; past that point, you'll have to pay to retrieve your stuff. I was highly impressed with the Gringotts ride—it's both 3D and an actual ride, and characters from the Harry Potter movies will (seemingly) jump out at you while the ride is moving. After that, we rode the Hogwarts Express to Islands of Adventure, and did the Forbidden Forest ride and a few others, such as the Hulk and Kong (Skull Island). Always utilize the single rider lines when you can, even if you're in a group. Skull Island still took about 40 minutes in the single rider line (regular line was about 60 minutes) but was a fun ride. 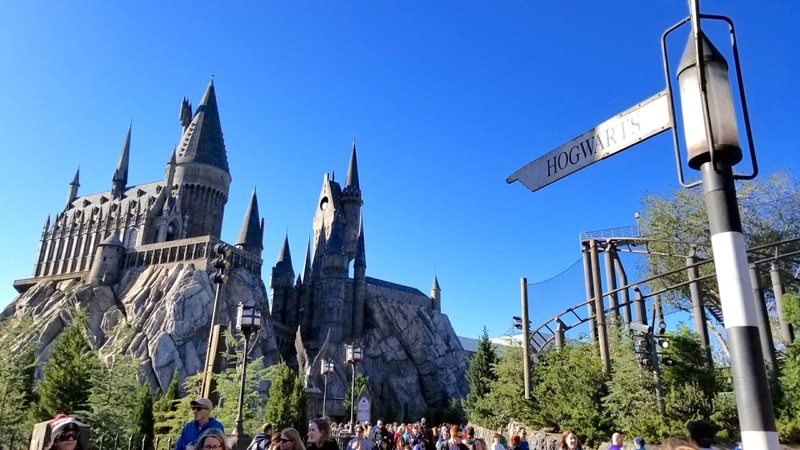 If you're not a huge Harry Potter fan, and you only have one day, like we did, I would suggested buying a one park only ticket, for Universal Studios (not Islands of Adventure). We ended up preferring that park to Islands of Adventure, even though Islands did have many fun rides. Diagon Alley (Wizarding World of Harry Potter) is in Universal Studios and Hogsmeade is in Islands, but you can procure butterbeer at either Wizarding World and also visit either the Leaky Cauldron (Diagon Alley) or the Three Broomsticks (Hogsmeade) pub for a meal. I arrived in Orlando on a Thursday (Jan. 11) and left on a Monday (Jan. 15), so that essentially gave us four days to visit the parks. We ultimately decided to do a 3-day hopper pass for Disney World, and the 1-day, park-to-park pass for Universal Studios. A hopper pass means that you can visit multiple Disney parks in one day. I can't guarantee this if you have kids, but if you are adults traveling to Disney, you probably don't need 1 full day for any of the parks. 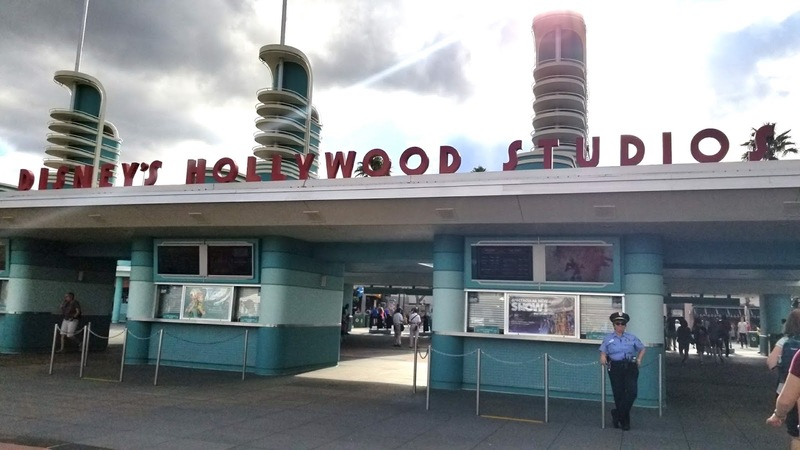 On Thursday, I went to Hollywood Studios then park-hopped to Epcot. 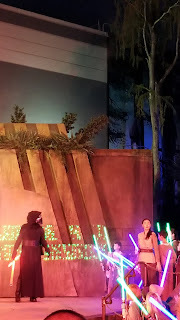 On Friday, we started at Magic Kingdom and then again ended at Epcot, and then on Saturday, we did Animal Kingdom and ended our Disney trip at Epcot (the food at Epcot is awesome, as are the few rides it has, so we spent a good amount of time there). Because of that, I highly recommend getting a park hopper pass, especially if you have less than 4 days at Disney. It was my birthday, and we got a birthday button for myself (you can get them at Guest Services/Town Hall at Magic Kingdom, and I believe at the other parks too). Almost every Disney employee I encountered wished me a happy birthday. I'm pretty sure it's in their job description or something, but I definitely appreciated it. 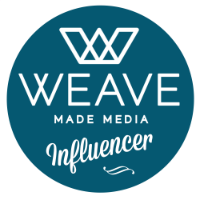 If you are celebrating anything ("Happily Ever After," a birthday, or anything else), you can grab yourself a button. There are also buttons for "First Time Here" if it's your first time at Disney World - I did that in 2014 when I visited Disneyland for the first time. We planned our FastPass+ selections very well. I don't think we waited more than 20-30 minutes for any ride, really. 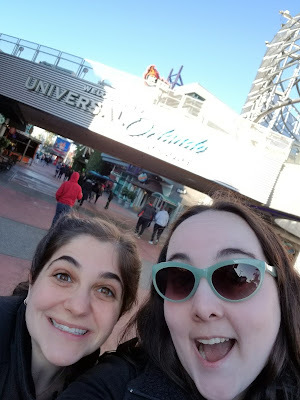 So when we got to Universal, we had to wait about 30-60 minutes for most rides, because we didn't buy the upgraded pass ($60 in addition to your ticket price) for Universal. People say that Disney World is more of an "immersive experience" than Universal, and I agree. Though I'm a huge fan of rides, and Universal is supposed to be better for rides, I really liked the rides at Disney, too. They have coasters (Expedition Everest, Rock'n Roller Coaster, etc.) 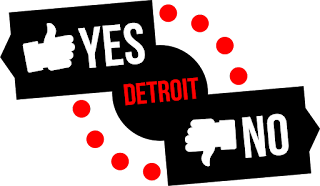 if you're a coaster fan, as well. I'll also say that Disney World is NOT an inexpensive vacation, especially if you stay at one of their resorts. 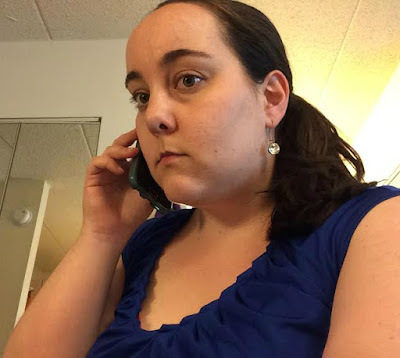 However, check their website frequently—a coworker friend went around Christmas time, and got a meal plan included in her reservation, which would have been awesome. There are also military and veteran discounts, if you book direct through Disney, I believe. 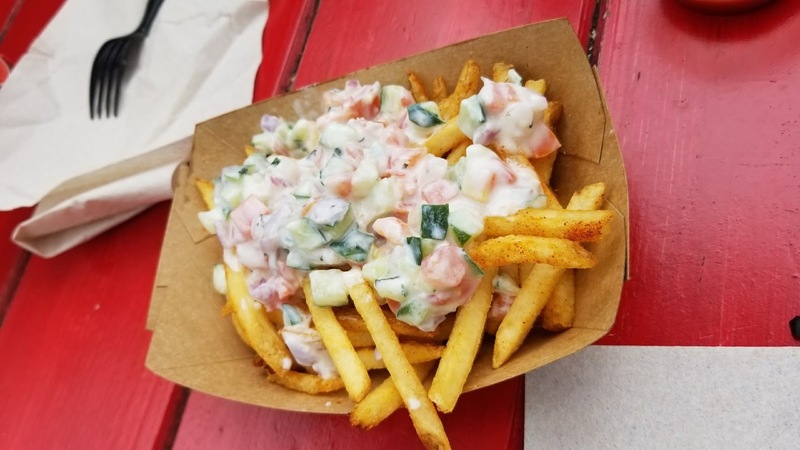 Tzatziki fries at Animal Kingdom - yum! Speaking of meal plans, we did not buy a meal plan this time, but I think next time I would. I say this because a few of our "moderate" dining experiences (Chefs de France, and Teppan Edo) were about $40 a person. The dining plan I looked at was $75 per day, for two days, and included two snacks, one quick-serve meal, and one "sit down" meal. 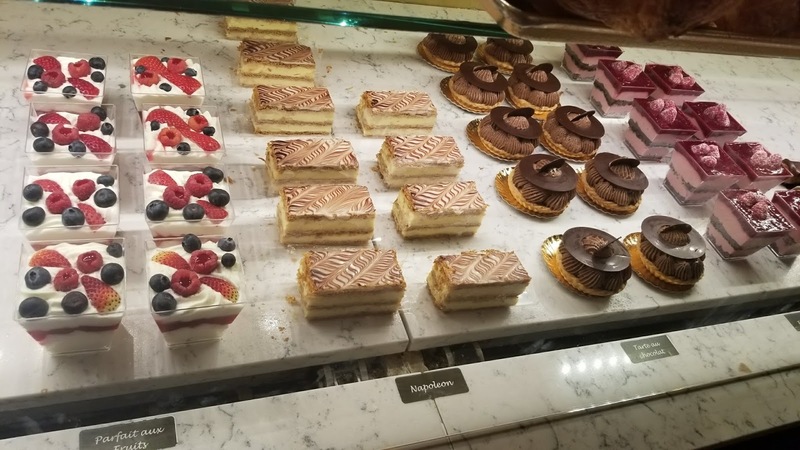 Some of the more expensive places (i.e., Monsieur Paul, in Epcot's France) require two dinner credits, but the places we went only required one, and would have included a drink—alcoholic, if you like—as well as a dessert. The only thing not included is gratuity. So if you really maximize the meal plan, you can probably get more than your $75 worth. They also had a more inexpensive meal plan with two quick-serve meals, instead of one quick-serve and one sit-down, if you don't think you'll utilize the sit-down meal option. I had fun at both parks, even though I was exhausted at the end of each day (walking 30,000 steps each day—multiplied by four days—will do that to you!). I definitely enjoyed Disney World, and although I enjoyed Universal a tiny bit less, I don't regret going, especially since the Wizarding World of Harry Potter had been on my "bucket list" for a long time now, ever since it opened in 2010. I think it will probably be a few more years until I return to Disney; when I do, I probably will skip Universal Studios, unless they have any deals going on at the time. 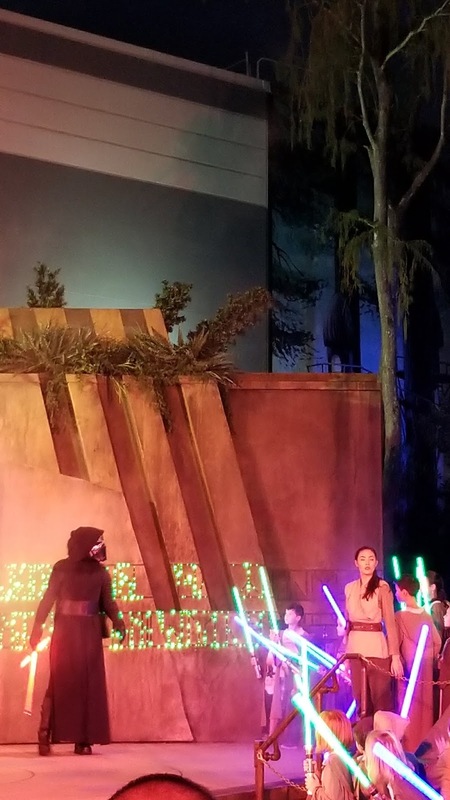 Disney's Star Wars Land is opening in 2019, tentatively, and that should be really cool once it opens; their Toy Story area will be opening at some point too. Both are located in and/or near Hollywood Studios. I also highly recommend doing the hopper pass, even if you think you'll only be doing one park per day, for Disney—it's fun to be able to experience multiple parks per day. My only regret from this trip is not seeing more of the parades and shows—we wanted to see one of the Magic Kingdom night shows, on our last night, but were too tired. I did see Epcot's night show—twice!—and some of Hollywood Studio's fireworks one night, though, in our Lyft car from Coronado Springs to the Hilton. Have you ever been to Disney World and/or Universal Studios Orlando? If so, which park(s) did you prefer, and why?